Product prices and availability are accurate as of 2019-01-13 03:14:16 EST and are subject to change. Any price and availability information displayed on http://www.amazon.com/ at the time of purchase will apply to the purchase of this product. $139.00 Factory Reconditioned Model Available. 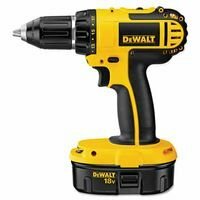 Same great quality, inspected by factory trained technicians and backed by DeWalt's full 1 Year Limited Warranty. 18 Volt 1/2'' Cordless Compact Drill / Driver Kit with Compact Design and 1/2" Ratcheting Chuck. 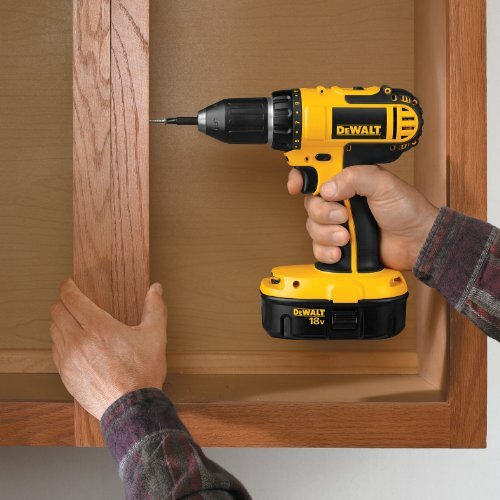 The DeWalt 18 volt 1/2'' cordless compact drill / driver is extremely durable and efficient. This amazing tool features a lightweight design (4.8 lbs.) which minimizes user fatigue. Making these even more versatile is the compact size which allows users to fit into tight spaces. Features: Compact size: allows users to fit into tight spaces Lightweight design (4.8 lbs.) 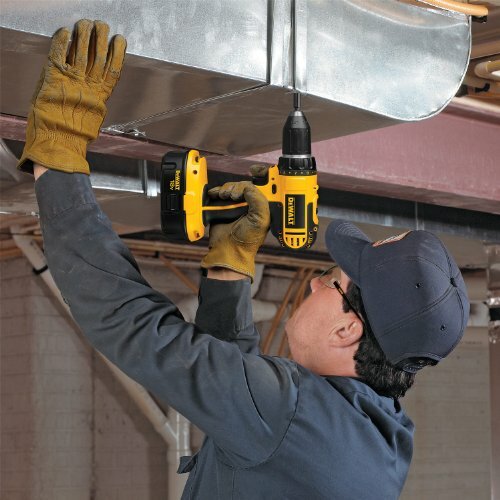 minimizes user fatigue 1/2'' ratcheting chuck reduces bit slippage, Dual speed range 0-500/0-1,700 rpm delivers optimal performance, High performance frameless motor delivers maximum power of 410 unit watts out, LED worklight provides increased visibility in confined spaces. Includes: 1 hour charger (2) 18V batteries Kit Box. Specifications: Voltage: 18V. Max Power: 410 UWO. # of Speed Settings: 2 Max rpm: 0-500/0-1,700. Clutch Settings: 17. Chuck Size: 1/2". Chuck Type: Plastic, ratcheting Tool. Weight: 4.8 lbs. 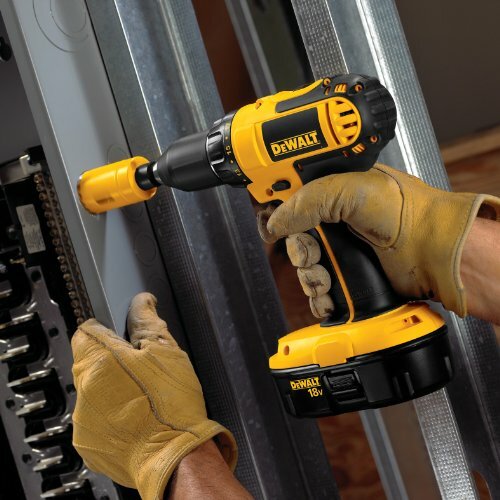 DEWALT is firmly committed to being the best in the business, and this commitment to being number one extends to everything they do, from product design and engineering to manufacturing and service.